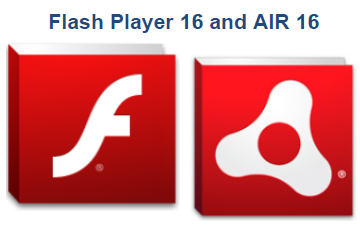 Adobe Flash Player 16 has been released and is available for free download and testing. This release has been codenamed Natoma. The new Flash Player 16 includes enhancements and bug fixes related to performance, security, stability and device compatibility. After Adobe applied the rapid release model to Flash Player, the new updates of Flash Player are automatically downloaded and installed with background updates. But this is not the case with beta updates. If you have already installed Flash Player in your computer, most probably it will auto-update to the latest stable version. But this background updates feature requires the user to subscribe to the updates and is not enabled by default. A new ActionScript feature has been added which allows the hardware accelerated video to be used as a source texture in a Stage3D environment. Flash Player versions up to 15 requires the use of video objects using video with Stage3D which is not accelerated. This new feature is called VideoTexture and it allows direct access to the texture object which is sourced from a Netstream or Camera object. Wireframe support has been added to AIR desktop for creating robust and efficient 3D content. This option is especially useful for the Flash developers. Another major enhancement in Flash Player 16 build is that PPAPI installers for standard version of Flash Player are now available online for download. PPAPI, Pepper Plugin API, is the way of using Flash Player in a customized manner like Windows 8 and Google Chrome include a custom build of Flash Player. Now we can expect to see Flash Player being bundled and pre-installed with other applications. You can read complete release notes of this release in the Flash Player 16 and Adobe AIR 16 release notes PDF document. The following downloads are offline installers direct download links to Flash Player 16 setup. At the time of this writing, the version 16 build is in beta but these links will be updated and will let you download the latest installers at any time. Please note that these installers are not compatible with Windows 8. If you are a Windows 8 or Windows 8.1 user, you will have a custom build of Flash Player which will be updated with Windows Update. Run the uninstaller and follow the prompts to uninstall Flash Player 16 beta completely.